A brilliant debut novel that captures the end of an era, the vast madness of war, and the courage of a remarkable woman to claim life from the grasp of death itself. and the almost 1,500 soldiers buried in her backyard. Years before, rather than let someone plow over the field where these young men had been buried, Carrie dug them up and reburied them in her own personal cemetery. Now, as she walks the rows of the dead, an old soldier appears. It is the man she met on the day of the battle that changed everything. The man who came to her house as a wounded soldier and left with her heart. He asks if the cemetery has room for one more. In an extraordinary debut novel, based on a remarkable true story, Robert Hicks draws an unforgettable, panoramic portrait of a woman who, through love and loss, found a cause. Known throughout the country as "the Widow of the South," Carrie McGavock gave her heart first to a stranger, then to a tract of hallowed ground - and became a symbol of a nation's soul. The novel flashes back thirty years to the afternoon of the Battle of Franklin, five of the bloodiest hours of the Civil War. There were 9,200 casualties that fateful day. Carrie's home - the Carnton plantation - was taken over by the Confederate army and turned into a hospital; four generals lay dead on her back porch; the pile of amputated limbs rose as tall as the smoke house. And when a wounded soldier named Zachariah Cashwell arrived and awakened feelings she had thought long dead, Carrie found herself inexplicably drawn to him despite the boundaries of class and decorum. 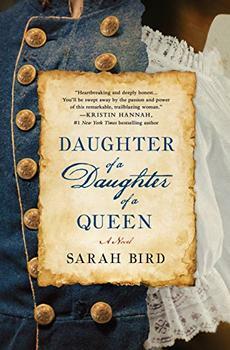 The story that ensues between Carrie and Cashwell is just as unforgettable as the battle from which it is drawn. The Widow of The South is a brilliant novel that captures the end of an era, the vast madness of war, and the courage of a remarkable woman to claim life from the grasp of death itself. Also available as a Time Warner Audiobook, in a Large Print Edition and as an eBook. Carrie watched him go and then turned to Mariah, whom she had once owned, a gift to her from her father. She was a gift, whatever the meaning and implications of that word. Mariah had been her tether to the earth when things had spun away, when Carrie wasn't sure if there remained a real and true life for her, and then when she wasn't sure if she wanted that life even if it existed. Things had been different once. She couldn't believe that she had ever been so . . . what? Weak? No, that wasn't it. She'd never been weak. She'd been buffeted and knocked down, like grass bent to the ground by the wind preceding a thunderstorm. She'd been slow to get up. But she did get up, eventually. There had been no choice. She was not afraid of much, and she especially wasn't afraid of God. Not anymore, not for a long time. "Mariah, what do you see?" It seems that Carrie doesn't come alive until literally everyone around her is dying. Why do you think it took her home being taken over by the Confederate Army and turned into a hospital to awaken Carrie out of her stupor? Do you believe that Zachariah really wanted to die when he picked up the colors on the battlefield? Why does Nathan Stiles spare Zachariah on the battlefield specifically, when others carrying the colors were killed? Is Zachariah grateful to be spared, or is he regretful, or a little of both, and why? Wonderfully imagined and beautifully written. Robert Hicks not only immerses us in history but also in age-old human truths that are the grist of lasting literature. One of the finest books I've read in years. A stunning and complex story. Though occasionally overwrought, this impressively researched novel will fascinate aficionados. Starred Review. The author gracefully yet forcefully enters the psychology of these various individuals, each one representing a certain side in not only the battle at hand but also in the overarching context of nation rending. And, almost strangely yet certainly beautifully, from all this carnage emerges a love story that transcends time. We know from the outset about Carrie's cemetery, but her journey to that place is compellingly told. Highly recommended for all libraries. A thunderous, action-rich first novel of the Civil War, based on historical fact.....An impressive addition to the library of historical fiction on the Civil War, worthy of a place alongside The Killer Angels, Rifles for Watie and Shiloh. A memorable, many-faceted account of one of the definitive events of our history. To read this thrilling story is to encounter and recognize something essential of the worst and best about ourselves. What a wonderful story Robert Hicks has told. It speaks powerfully to us today. A poignant, evocative account of one of the last bursts of fury in our terrible Civil War, and what came after. It is a fine story of love, war, regret, and reconciliation. A wonderful novel...Hicks has perfected the art of mixing fact and fiction, and turned the book into a sustained, profound meditation on what it means to live, to love, and to die. Congratulations to Robert Hicks - he has written a moving and magnificent novel. 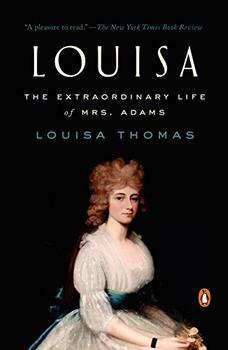 An intimate portrait of Louisa Catherine Adams, the wife of John Quincy Adams, who witnessed firsthand the greatest transformations of her time.